Muzzafarpuri Litchi is the first litchi that hits Indian market. The litchi is know for its soft juicy skin and sweet flesh. The seed is oval and big and the fruit itself is bursting with flavour. This Litchi is coming from a little village in Chattisgarh called Jashpur. 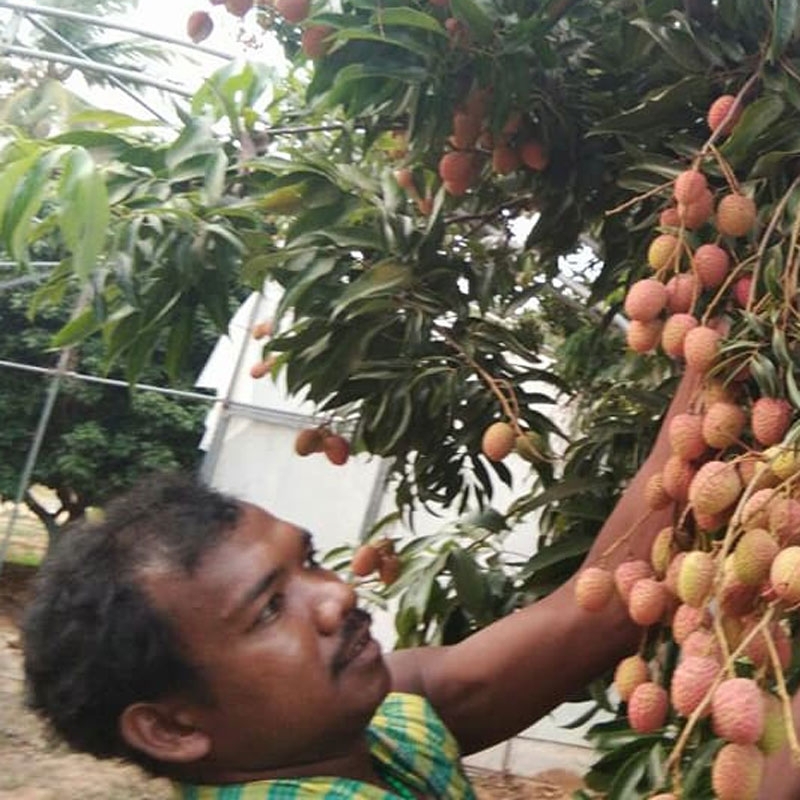 The farmers from this region have never really sent out their litchis our of Jashpur district.The litchis are organic grown under the PGS certification scheme. With FarmerUncle the farmers from this region intend to reach a larger customer base in Delhi and reap better benefits for their produce.